Dr. Seiler is Birmingham’s board-certified cosmetic laser surgeon, trusted for his ability to treat patients’ concerns safely and effectively. What is CO2 Laser Skin Resurfacing (CO2)? CO2 is the strongest laser treatment available, and widely understood to be the gold standard in ablative laser skin resurfacing. At Seiler Skin, Dr. Seiler uses a state-of-the-art device, the Lumenis Encore CO2 (Active FX, Deep FX, Total FX), for fractional and fully ablative laser resurfacing. His experience with this highly advanced device enables him to tailor the strength of your treatment and produce the outcome you desire with manageable downtime. 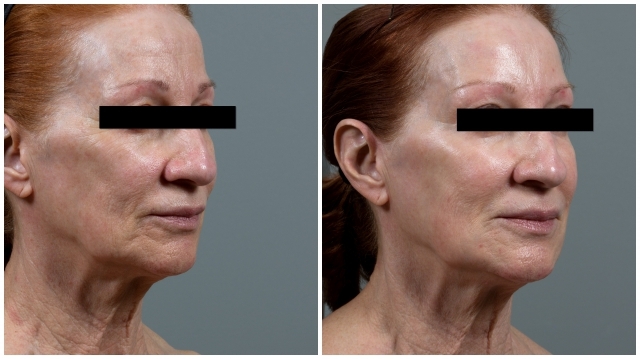 The CO2 laser stimulates collagen remodeling to achieve long-term results, immediately tightening your skin and greatly reducing abnormal pigmentation, sun damage, wrinkles and scarring. What makes CO2 different at Seiler Skin? CO2 is an extremely powerful and effective treatment. Dr. Seiler is among a few physicians in the world experienced specifically in performing complex cosmetic laser procedures. There are simply no other providers locally, or even nationally, better equipped to perform CO2 safely and effectively. While there are only a small number of expert CO2 providers, there are even fewer who are trained to combine the science of platelet rich plasma (PRP) with this laser to improve the procedure’s overall result and downtime. Dr. Seiler is well-versed in the science and use of PRP, and a pioneer in the field. Patients must understand that there are significant and critical differences between an experienced and novice practitioner, as well as the quality of devices on the market. The Lumenis Encore CO2 is the most powerful and fastest firing laser, and can reach depths and strengths that weaker devices are not capable of achieving. 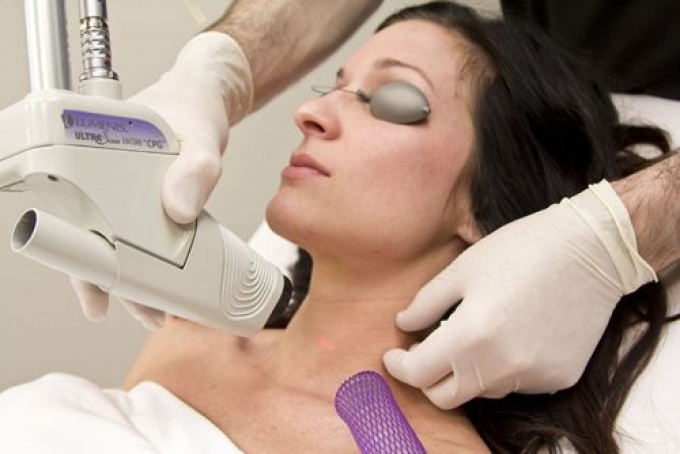 A less powerful or slower firing CO2 laser requires more time and energy to reach deep into the skin, and can cause patients increased discomfort and a longer recovery. The difference is akin to driving a Rolls Royce versus a Honda Civic – there’s just no comparison. What are the results of CO2? 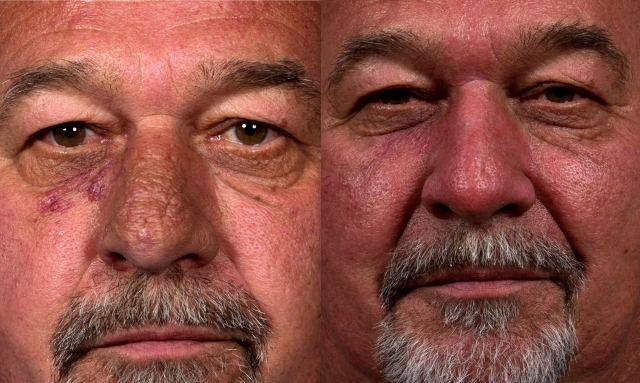 Patients will experience significant pigment reduction and overall brightening of their skin. Patients will notice visible pore reduction, the beginning of line and wrinkle reduction and overall smoother and tighter skin. During the final stage, patients will achieve major improvement in their deep lines, wrinkles and scars. Although your skin will look better with each week that passes after treatment, results may take a year or longer to reach optimal visibility and will both improve and persist for years. Longevity and outcomes are increased by adhering closely to Seiler Skin’s recommended skincare maintenance plan. What can I expect before, during and after CO2? Once the heat sensation dissipates (one to three hours post-procedure), most patients report that they do not experience pain or discomfort. 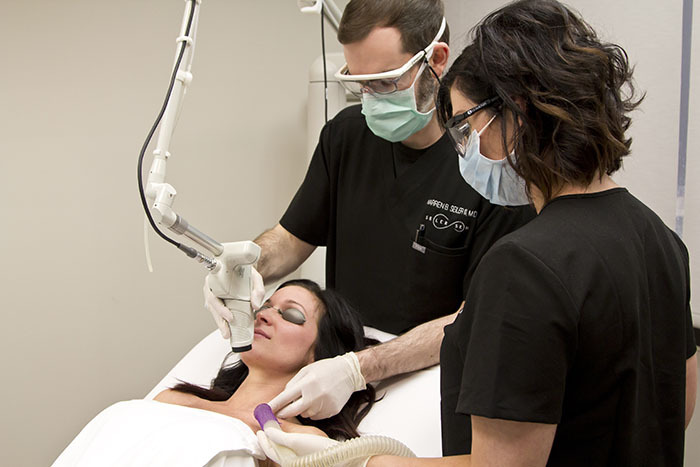 Depending on the strength of your treatment, cosmetic social downtime typically includes manageable redness and swelling for the first five to seven days. You can also expect to see significant pigmentation shedding during the first week, which is a sign of a healthy recovery. With particularly aggressive treatments, a few extra days of recovery should be expected. For more information on CO2, please contact our office to schedule your consultation! Copyright © 2017 by Dr. Warren Seiler (pending). All rights reserved. These instructions, forms or any portion thereof may not be reproduced or used in any manner whatsoever without the express written permission of the publisher. 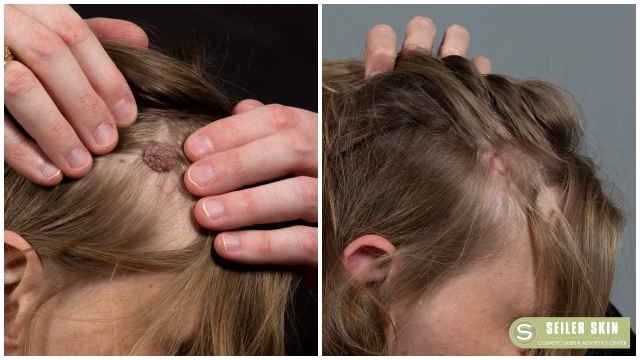 Dr. Seiler: What's the difference in Fraxel Dual vs. Co2 Laser Resurfacing? I have been a patient of Dr. Seiler's for ten years! People are always telling me how great my skin looks and I know I owe that to the preventitive care and treatment I have received from Dr. Seiler and his wonderful team! They truly have my best interests in mind! I cannot imagine going anywhere else! I had a business card photo taken two years ago which was perfected through Photo Shop. I continuously looked at that photo and wished that one day my skin would look that great. 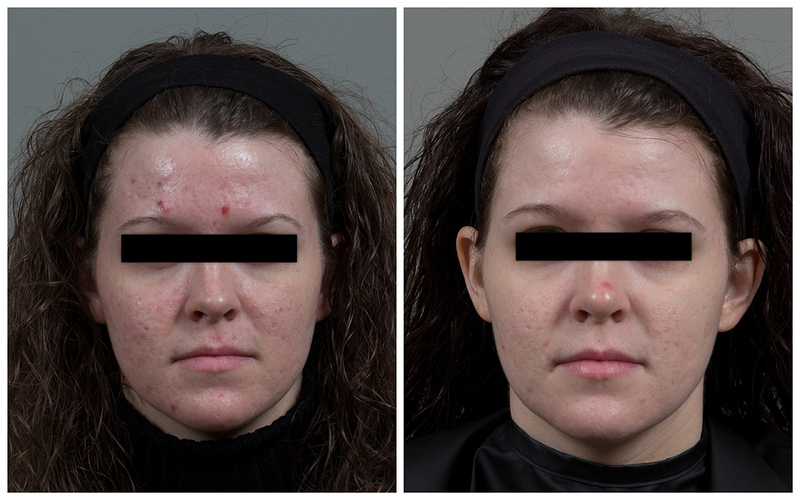 Well, Dr. Seiler made that happen through laser skin resurfacing and I am so excited about the results. I have received many compliments at only 5 weeks post procedure. I am fairly new to Birmingham and are very thankful a friend here told me about Dr. Seiler and his wonderful staff. 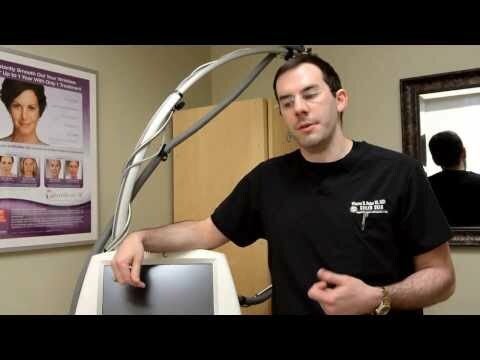 I saw Dr. Seiler a little over a month ago for a consultation and an IPL treatment. I immediately had a very positive opinion of him. I will also say I am very cautious, having had a bad experience with a doctor in another state which actually left permanent scarring from a laser. Dr. Seiler was thorough in discussing my history and his experience. After my first visit, I made another appointment to discuss with him performing a CO2 Resurfacing Laser Procedure. I wish to share my extremely positive experience. Dr Seiler explained in detail what would occur- what I would need to do pre-procedure, what would occur the day of the procedure and very importantly the care I would need to take post-procedure. Today I saw Dr. Seiler which is DAY 6 post-procedure. We are both TICKLED with the results. He reported my quick recovery was due to diligent aftercare. He reported some patients take 2 weeks to progress to my stage at day 6 . Dr. Seiler and his staff take great care to make sure you know the proper protocol for after care. The information is covered personally in the office as well as a packet of information to take home. Ice, Ice, Ice and constant elevation kept swelling to a minimum. I started sluffing on Day 3-- the vinegar soak was helpful followed by washing gently in circular motions with the provided wash. Most of the skin was gone by Day 4. Needless to say, lots of the special moisturizers applied and taking of all medication as instructed. I am impressed that Dr. Seiler and his excellent staff have kept in contact through this process. He called the morning after the procedure and the following day saw me to check my progress. Today was Day 6 check and I see him in another week. I am very happy with my initial results just 6 days out . Some long standing issues are resolved. I look forward to the continued benefits from the procedure. His staff is wonderful and Dr. Seiler is a keeper! I had a consultation with Dr. Seiler about extensive sun damage on my face. My main concerns were sun spots, lines above my upper lip and wrinkles around my eyes. Dr. Seiler's recommendation was the C02 Laser Skin Resurfacing. 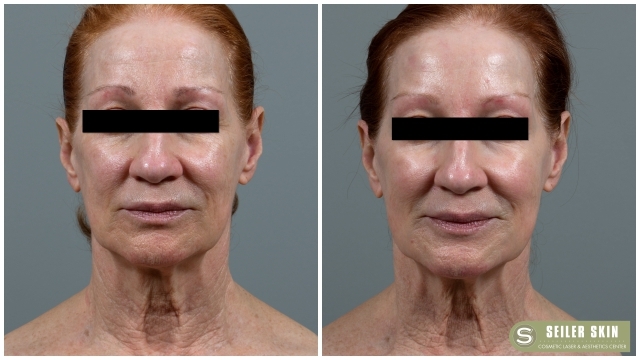 I had this procedure done in two segments and now, two months after the last one, I couldn't be happier with the results. Dr. Seiler, his wife, Jill, and the whole office staff are wonderful! If you want to see the best results, this is the procedure to have. I have been going to Dr. Seiler for a year now. We have done treatments on my face preparing for the CO2 laser. I was scared but excited all at the same time because I could not wait to get my skin back to where it was 3 years ago. He and his staff agreed to come in at 7:00 in the morning the day before Thanksgiving because that was the only day that I could do that surgery. They were all so friendly as always and took extra special care of me. After it was all said and done he told me that it would be several months before I saw a massive difference because the healing process takes some time. 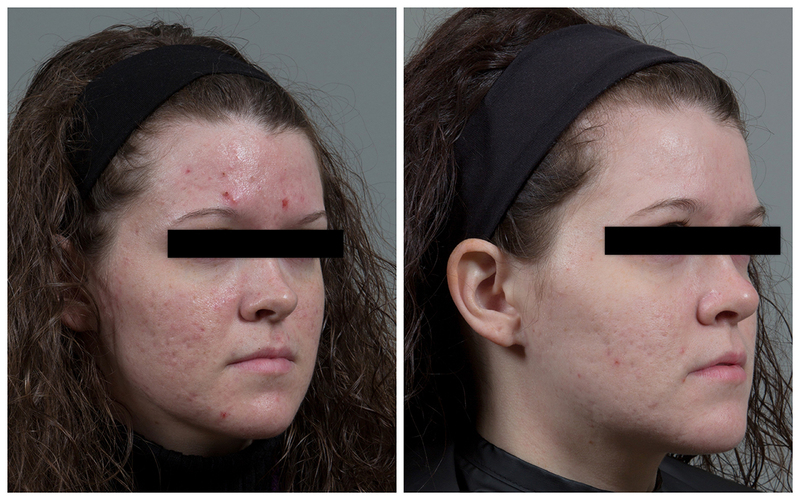 I was totally amazed to see change not even 3 weeks after the treatment. I have been SO pleased with the changes so far and I know that in a few months its going to look even better. I could not thank Dr. Seiler and his staff enough for what they have done for me! I would recommend them to anyone- which I have because now even my family members are going to see him. You cannot go wrong with Dr. Seiler and his amazing staff! Dr. Seiler and his staff go above and beyond to accommodate me due to my work schedule. They always make me feel welcome and comfortable. I recommend Dr. Seiler and his staff because they are all knowledgable in regards to the best products and procedures. I have personally had Botox, CO2 laser, hydrafacials, and hair removal. I look forward to having a vampire facial in the near future. On a daily basis, I get complements on my skin. If you have any doubts at all about having a procedure or you do not know where to begin then schedule a consultation and you will not be disappointed. I truly appreciate everything you guys do for me. Thank you Dr. Seiler and your staff because you make an exceptional team. Best regards! I just want to start off with saying how important it was to me to find the perfect doctor that has all the training and experience with lasers. I went through two different consults before finding the right doctor. I cannot tell you enough how wonderful Dr. Seiler is. I traveled 4 hrs to have him do my procedure. I'm only a week out, so I have a while before I see results. Let me tell you, how many doctors do you know text you every other day to see how you are? My doctor actually wheeled me out after my procedure to my car. Wonderful bedside manner, never felt rushed when I had questions and that means so much to me. I can't recommend him enough. You will love him and his staff are all so sweet!